Description: A teal and purple version of the Celtic Lotus Mandala. 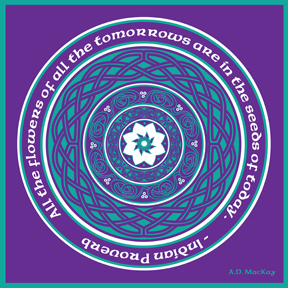 An Indian proverb envelops the Celtic flowers of all the tomorrows. At its heart lies a Celtic lotus.